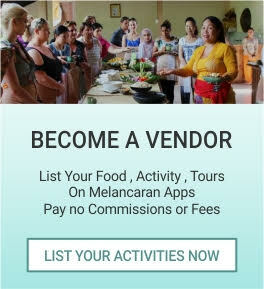 Here we offer the exciting and fun seawater activities and great challenge for your holiday in Bali. Tanjung Benoa Bali is the popular water sport sites in Bali from motorize until the manual water sport. Enjoy the fantastic experience from our water sport activities. 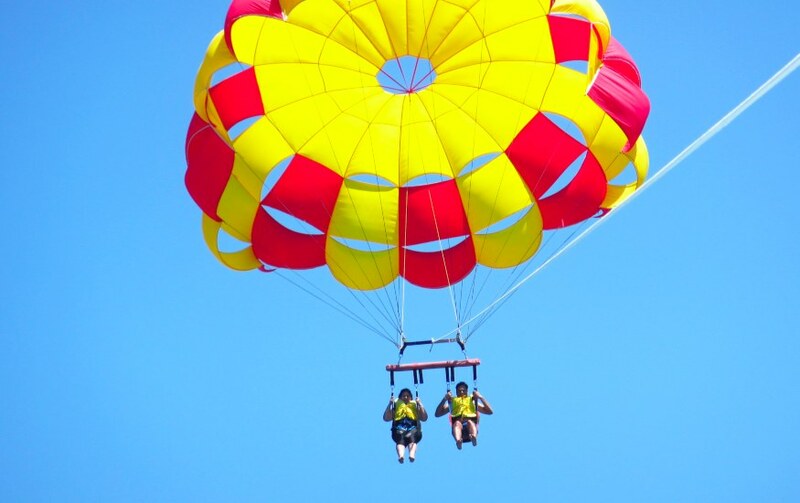 Begin with playing Adventure Parasailing (two people flying together in Romantic moment) and there are some others activities such us Water Ski or Wake Boarding, Scuba Diving, Sea Walking, Glass Bottom Boat, Donut Boat, Fly Fish, Banana Boat, Jet Ski, and Snorkeling that you could play with additional cost, but absolutely sure with big discount from us. 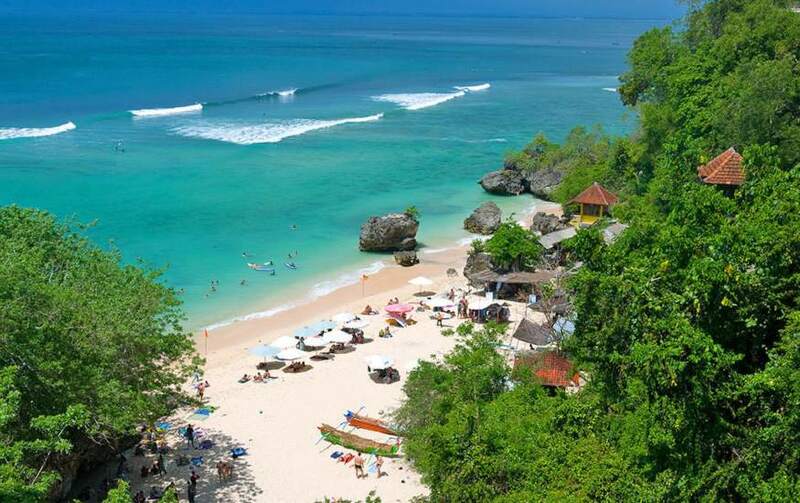 Padang-Padang beach is a famous surf point in Bali with the great waves and white sandy stretch 100 meters from the north to the south. 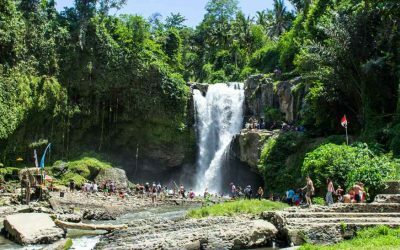 This is situated the white stone hill with nature scenery to the Indian Ocean and spectacular sunset at late afternoon that creates the Romantic Nuance. White sandy beach stretching ahead of you, clear blue water and flat, perfect for swimming. Sand white color contrasts with the black rocks and blue sea exotic. A bright blue sky and white clouds are forming harmonization beautiful of scenery. Visible in the distance the boulder clusters, this is so beautiful. Large boulders are scattered along the coast. Padang Padang beach is popular starting around 1996’s from the music group Michael Learns To Rock took this beach as one of the set of their video clips. Not long ago, actress Julia Roberts is also shooting at the beach for his new movie Eat, Pray and Love that has been released in 2010. A Hindu temple set on the cliff bank in south part of Bali Peninsula. 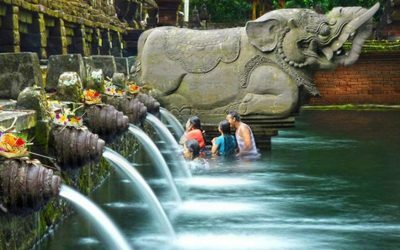 It is one of Sad Kahyangan Temple in Bali (six big groups of Bali Temples), located in Pecatu Village, Sub district of South Kuta, and Badung Regency or about 25 Km southerly part of Denpasar town. It is situated on the coral reef sordid to sea about 80 meters above the sea level. It is featured by a small dry forest which is mostly called by Alas Kekeran (interdict forest) which is belong to the temple and dwelt by a lot of monkeys and other animal. 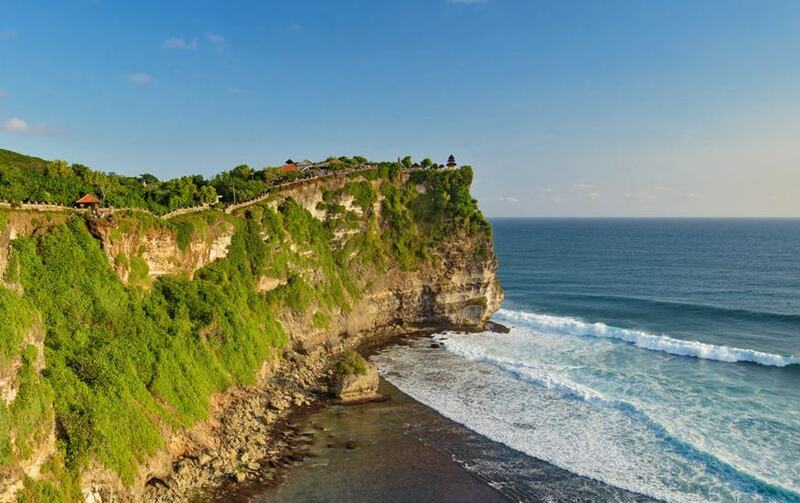 Name of Uluwatu was come from the word Ulu meaning the head and Watu meaning stone. Therefore Uluwatu Temple mean the temple built in tip of coral reef. 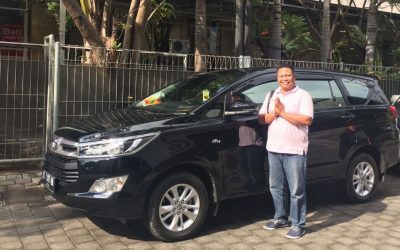 Next, we will lead you to Jimbaran Bay, this place is very famous for it’s Romantic Dinner while enjoying the sunset and scenery with live group music by local singer offered international song and the sing title could be request. Since the favorite meals of everyone are different, the dinner will be optional and at customer’s own cost.